Vintage Ranger Snoopy Bannerscapes Nylon Banner “rare” – $190. Find it on eBay (affiliate link). Guys, I don’t know what this is. Do you? I’ve got some theories on this Beaglescout Snoopy Flag Banner, but I need to crowdsource the correct answer. Send me an email at info@collectpeanuts.com if you can put this Peanuts mystery to rest. Theory number one is very mundane. This Beaglescout Snoopy Flag Banner just a variation on the popular Peanuts flags of the 1990’s. NCE made tons of similar vinyl flags for hanging outside your house. Some were embroidered pieces of brightly colored material, similar to this particular banner. The seller calls this a Bannerscapes, which sounds like a brand name. Is that listed somewhere on a tag? Is there packaging we’re not seeing? Perhaps this was an offshoot of NCE flags that didn’t amount to many products on the market. Their size suggests they would be at least double the price of a typical flag, if not more. A twist on our first theory for my second theory. Perhaps this Beaglescout Snoopy Flag Banner was some type of prototype and that’s why I never heard of it. When NCE was making all these banners, I wasn’t in a position to be going to stores all the time and researching Peanuts stuff. I was too busy at college! I may be an expert, but knowing everything about Peanuts is an impossible task. The wildest theory is saved for number three. It’s a commercial banner. 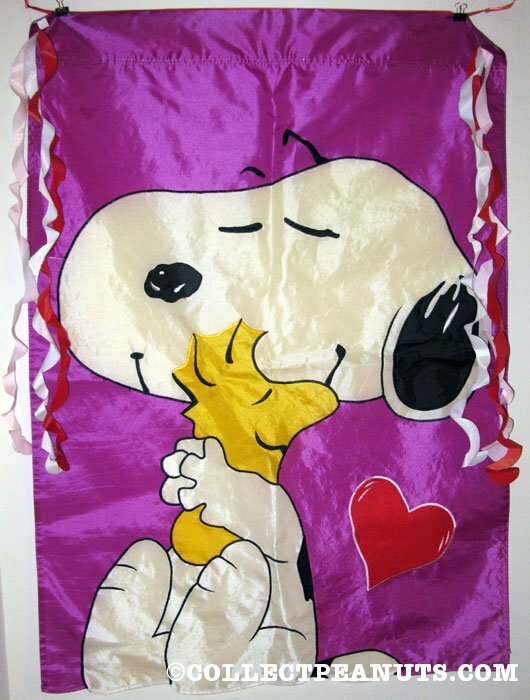 Perhaps the Beaglescout Snoopy Flag Banner was used at the Mall of America Camp Snoopy or Knott’s Berry Farm. It’s huge, like it should be seen from far away. Beaglescout Snoopy has a pose like he’s greeting a person by lifting his hat and holding out his paw for a handshake. There’s a sleeve on the side that looks like it’s made of a very sturdy nylon fabric. If it was for commercial use, it doesn’t seem to have been used. Without further evidence of this theory, like a photograph of it in use, then I wouldn’t put much weight behind this theory. How much is a Beaglescout Snoopy Flag Banner worth? Without knowing it’s true origin story, I have to err on the side of the mundane. Vintage flags from the 1990’s usually sell for around $20-50, depending on condition and rarity. I might take a pop on this Beaglescout Snoopy Flag Banner for around $40-60 if I was really interested to see what it’s all about. At that price, you’re paying about what you might pay for one brand new with a bit of a premium. From there, I’d probably do some research and give the piece a really good look and feel, comparing it to similar examples from the past. With a bit of research, who knows how much a Knott’s Camp Snoopy flag or an original Prototype might be worth! More Snoopy Flags to Explore! 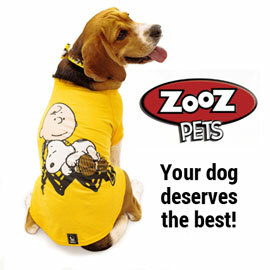 Shop our online store for related Snoopy Flags for sale and help support this site. Plus, discover more Snoopy Flags in our online collection gallery.